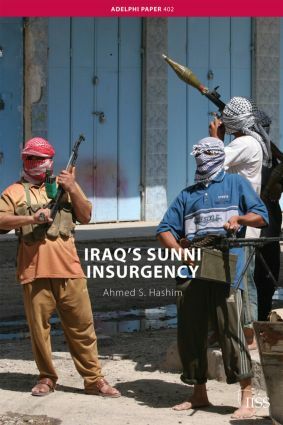 From 2003 to 2008, the Sunni Arab insurgency in Iraq posed a key challenge to political stability in the country and to Coalition objectives there. This paper explains the onset, composition and evolution of this insurgency. It begins by addressing both its immediate and deeper sociopolitical origins, and goes on to examine the multiple ideological strands within the insurgency and their often conflicting methods and goals. Despite organisational incoherence due to the existence of a large number of competing groups, the insurgency in Iraq sustained a particularly high tempo of operations between 2004 and 2006, causing considerable military and civilian casualties. Some insurgent groups focused on attempting to foment civil war between two of Iraq’s major communities, the Sunni and Shia Arabs and, by late 2006, they had come close to unravelling Iraq and presenting the Coalition with a major defeat. The adoption of a new approach by the US in 2007 helped reduce the level of violence in Iraq. In addition, deep fissures within the insurgency itself, between those fighting for more practical, immediate goals and the transnational Islamists and their local allies fighting for wider-reaching goals – including the promotion of sectarian strife – contributed to the insurgency’s diminution. It remains to be seen whether there will be a widespread recognition among Sunni Iraqis of the need to work with the Coalition to facilitate their community’s reintegration into the new Iraqi body politic.